I spoke at my church’s Communion Dinner earlier this month. Here is the meat of the message I gave that night. Thanks for reading! It has been really exciting to have my little speaking ministry grow, I have been working hard on it, and one of the things I did was to attend the She Speaks conference in North Carolina. It is a conference for Christian writers and speakers put on by Proverbs 31 ministries, whose president is Lysa TerKeurst- a rock star in women’s ministry. She was a key note speaker, and it was awesome to hear her speak. What was even more cool was passing her in the hallway the first day. Or at least it should have been, but instead when I saw her I stopped in my tracks and just stared. Then I closed my mouth and apologized for staring. She laughed and kept walking, talking with her assistant. I did what any star struck girl would do. I texted my bestie, Pam. Me: OMG!!! I JUST PASSED LYSA TERKEURST IN THE HALL! So hard not to stare! Pam: Awesome. I bet she was thinking the same about you. She will be! The deeper I get into this speaking ministry, the more difficult it is for me to fight the temptation to want to be the next Lysa TerKeurst or the next Beth Moore. It is hard not to look at the success of these ladies, see that they seem to have what I am chasing, and not want to be them. But is that what God wants for me? The answer is no. 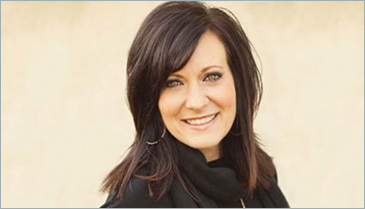 When He created me, He did not recreate Lysa TerKeurst or Beth Moore, He created Nicole White. Trying to be someone else is never a good idea. This is true in the story of David and Goliath. Just as a recap, in this story we see two armies facing off- the Israelites and the Philistines. Actually, we see one army facing off- the Philistines, and one army trying not to pee their pants out of fear- the Israelites. The Philistines had one massive warrior, the giant Goliath, standing out in front. He was pacing and taunting the Israelites, calling for them to send out their best to fight him. The Israelites were essentially hiding in their tents, not wanting to face them. Once it was decided that David was to fight Goliath, the natural conclusion was that he had to do it a certain way. If he was going to go fight, then surely he must do it like the typical Israeli warrior would. Therefore he put on this tunic and armor and helmet so that he could be what everyone expected him to be. Think about the things that we try to put on in our own life so that we can be what everyone expects of us. Because I work with the youth I know that this is a huge temptation for them. They are starting back to school in less than two weeks, where the pressure to be someone other than the child of Christ that they actually are is huge. 39“I cannot go in these,” he said to Saul, “because I am not used to them.” So he took them off. 40 Then he took his staff in his hand, chose five smooth stones from the stream, put them in the pouch of his shepherd’s bag and, with his sling in his hand, approached the Philistine. 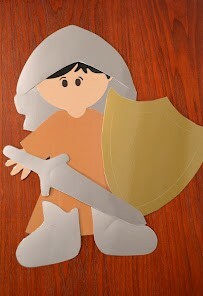 God did not create David to be like someone else and wear someone else’s armor. Just like he didn’t create me to be Lysa Terkeurst or Beth Moore, and He didn’t create you to be like anyone else…. but YOU. You are good enough just as you are because YOU are exactly as God created YOU. We know what happened with David. He didn’t try to be something he wasn’t, which was a good thing. What would have happened if David would have gone out there trying to be something that God had not intended him to be? He would have failed. God had prepared David to be what he was: awesome with a slingshot. God used the gift that he had given David to bring down that giant. What did God use beyond that slingshot, though? God used David’s faith. David looked at the Israeli army and said ‘What is the matter with you people, don’t you know that God is on our side?’ In the end the weapon that David wielded was a slingshot, but make no mistake- that slingshot was powered by faith- a faith that God had equipped him for the job. Have faith in the way God has equipped you, too. God created you the way you are. He created you to be YOU; He did not create you to long to be something else. Tonight, Communion Dinner, as we come together emphasizing that we are one in Christ- one body- let’s also thank God for making each of us who we are as individuals. Your creator loves you just like He created you. Shouldn’t you, too? Awww, I love you to, friend! Wise words, my friend! I love Lysa, but she’s the only one who can be Lysa.